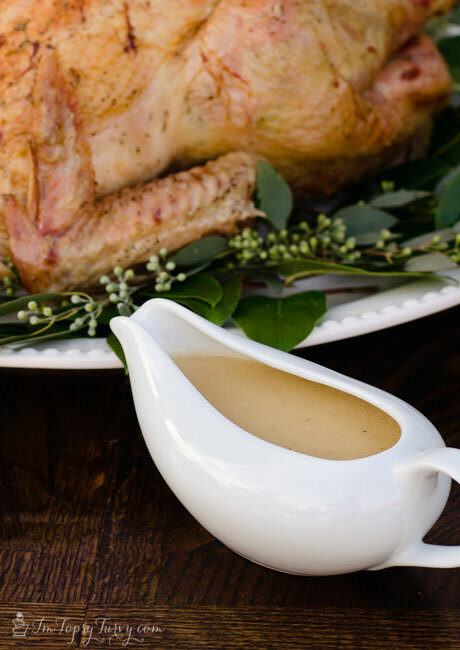 I love gravy, it’s seriously the best part of the meal for me, I pour it on my turkey, potatoes, stuffing, even my rolls get dipped in gravy, so I like to make a huge batch. 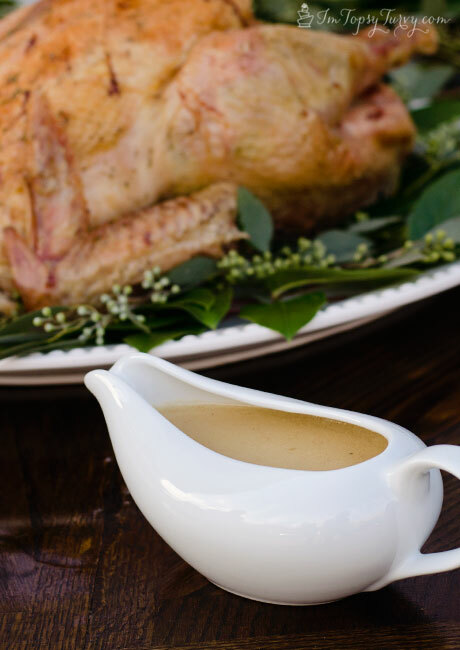 I usually run out of gravy leftovers first, and I seriously make a HUGE batch! I don’t just rely on the drippings/juice, it wouldn’t make a big enough batch for me!!! I add a Turkey Gravy packet (I like McCormicks) and water to extra gravy AND I like the extra flavor. BUT if you have extra turkey stock or chicken stock you can also use that too! I start the gravy when I pull my turkey out, so it's thick and ready to add the drippings after the turkey has rested a bit. Melt the butter in a large saucepan and add the flour, stir together until smooth and cook over medium high heat. Let it start to darken, just slightly. Then if you want a larger batch add the turkey gravy packet (I prefer McCormicks) and stir it smooth again and then add a cup of water. Whisk and let it thicken up, a LOT. But make sure it's smooth. Strain the turkey drippings into your saucepan, I just put a strainer over the saucepan, poke a hole in the disposable pan an tip it a bit, letting it all drain out. Whisk it until it's smooth again and taste it. Add salt, pepper to taste, if it's a little strong (depending on the amt of drippings/juice you get) you can add broth or water even. 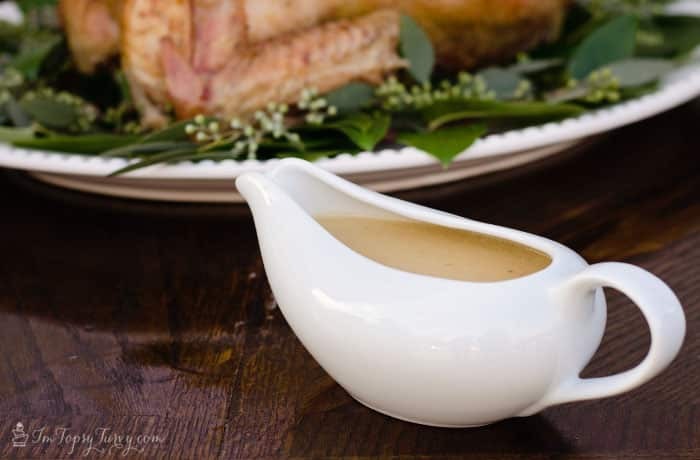 Are you a gravy lover like me? or do you just like a bit of it? or nothing at all? Oh my gosh I LOVE gravy! I couldn’t live without it! I don’t just use it for Thanksgiving and Christmas either. Serve it to me any day of the year :). P.S. I really hope you win that trip to London. I’ll be voting for you. Thanks so much! I didn’t even come close to winning, but it was still fun creating recipes for the challenge! And I’m with you, gravy gravy and more gravy please!